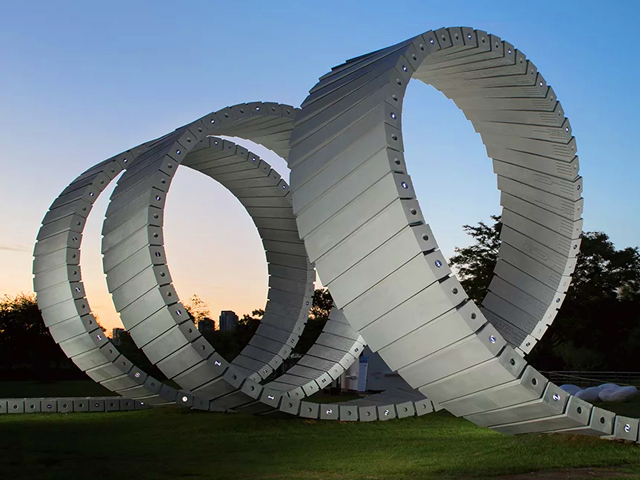 A series of public art works will be displayed along Sydney's new Light Rail routes in a bid to beautify the infrastructure. 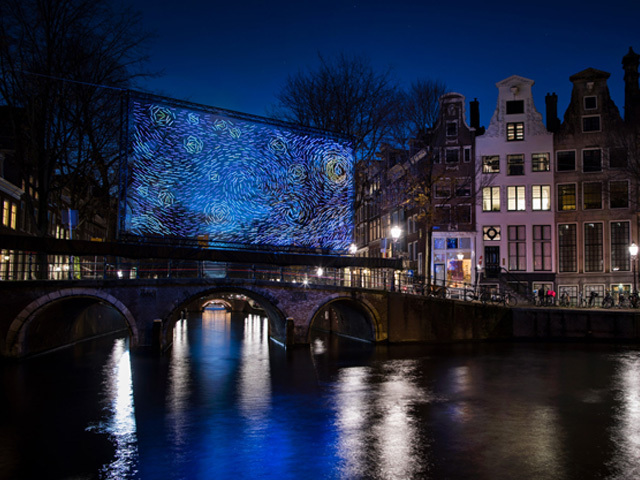 A selection of street artists - including a collaboration of landscape architects - will contribute to the project. 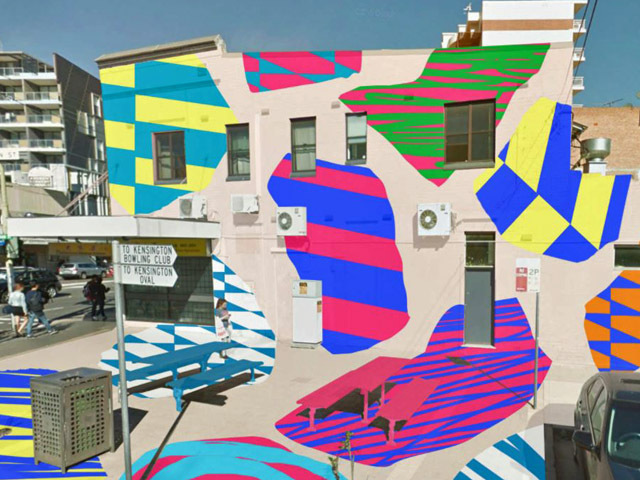 The Playground from Elliott Routledge will feature on Strachan Street. 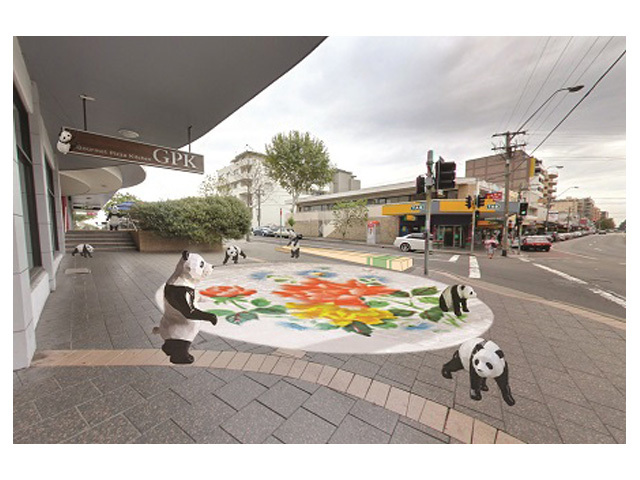 With strong support from the Randwick City Council, Transport for NSW has selected several artists to begin works that will adorn five spaces along the Kensington and Kingsford light rail route. 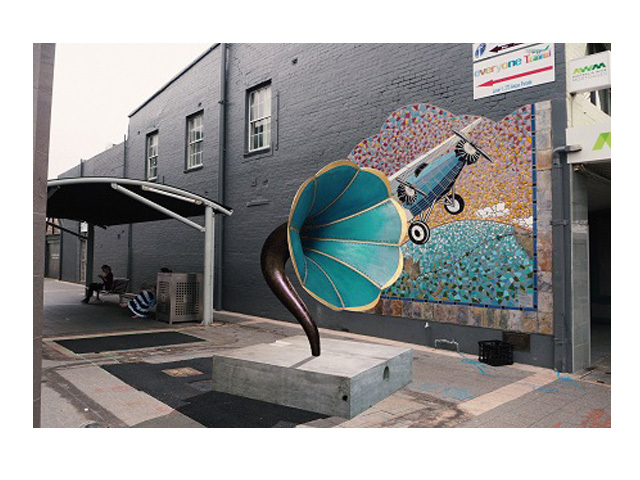 The artworks will be located at Duke Street, Todman Avenue, Strachan Street, Borrodale Road, and Southern Cross Close. 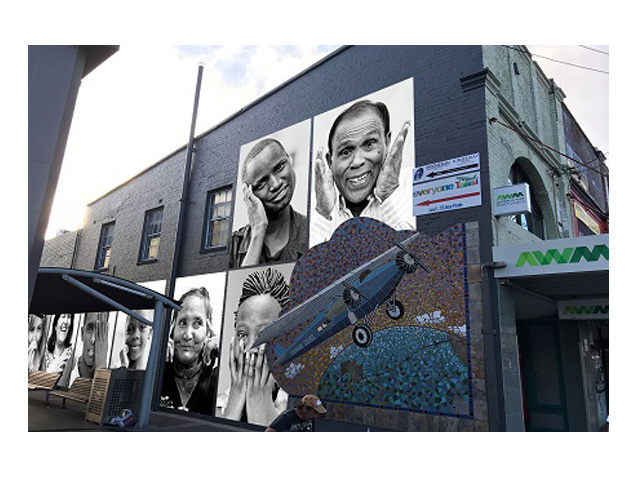 Southern Cross Close will host a series of large-scale photographic murals from Melbourne-based non-profit humanitarian organisation Ondru. 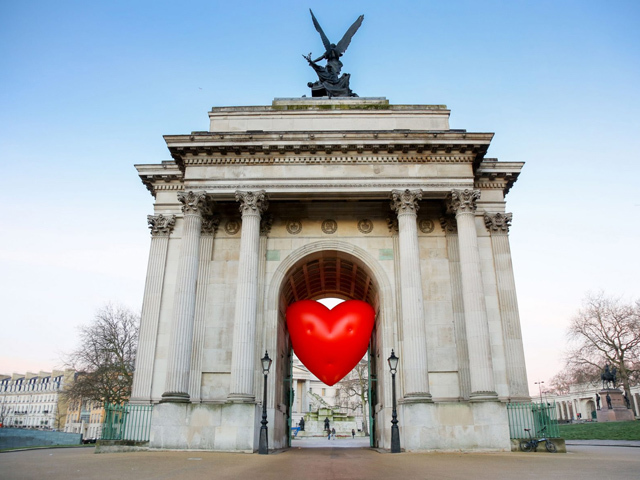 The artwork, titled Kingsford – Flying on Community Spirit uses a montage of individuals from the Kingsford community. 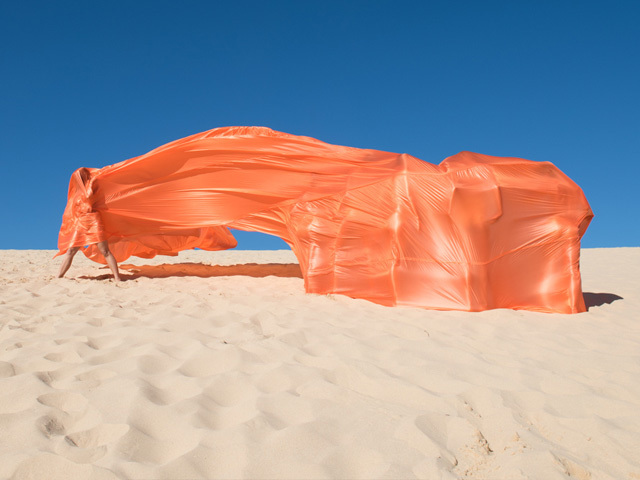 In addition, Southern Cross Close will also receive a sculptural piece from Esem Projects, a creative collaboration between Sarah Barns and Michael Killalea, titled ViaPhono. 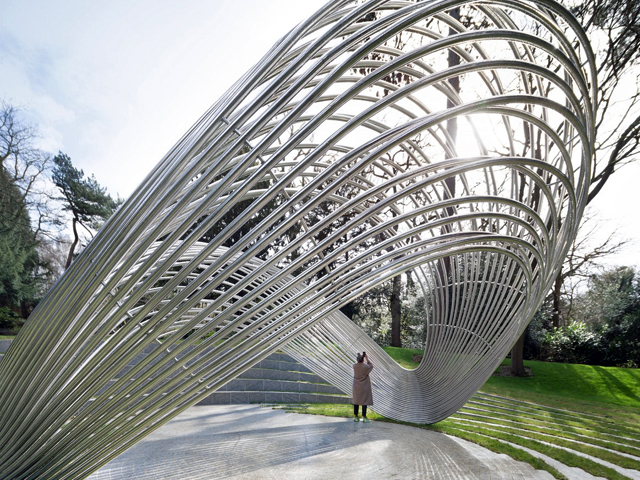 Borrodale Road will be in the care of Hand2Land Studios; a collaboration of landscape architects Fergus McCarthy, Lewis Haig and Sibyl Jia, together the team has created a quirky installation called Surprise Dumplings. 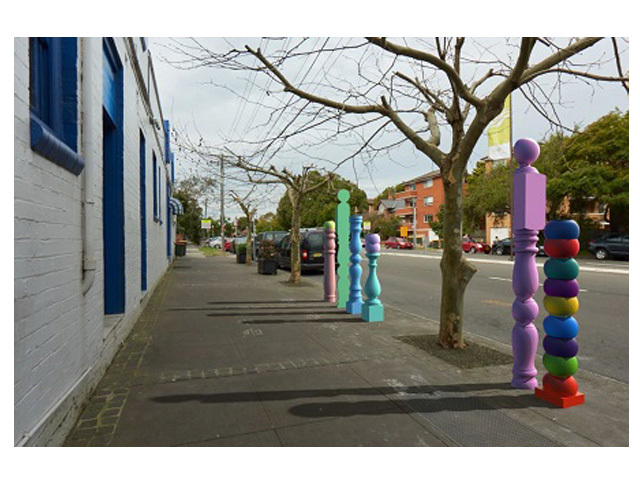 Sydney artist Nuha Saad will install a series of creative ‘bollards’ on Todman Avenue titled Velvet Nostalgia. 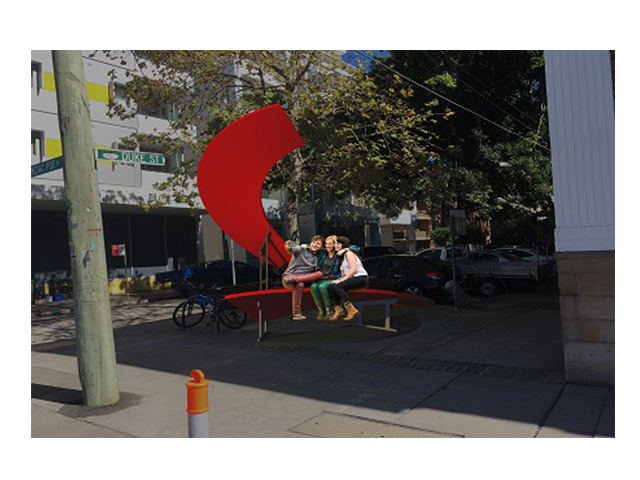 Finally, the funky public art/ public seating piece from Adrienn Lord at Mandylights titled Unwind will be located on Duke Street. 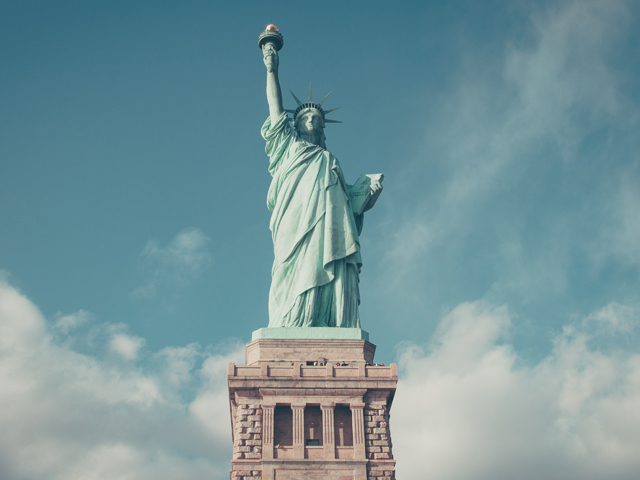 The artwork will be installed over the coming months and remain in place until February 2018.